As a designer, it’s important to keep up with industry news and trends. In my effort to do so, I frequently visit different websites and blogs like Smashing Magazine, OneExtraPixel, Webdesigner Depot, TechCrunch, and many more. I also use a Chrome plugin called Muz.li, which provides feeds of all the major trends, freebies, and design blogs. It’s amazing! I highly recommend it. Typography plays a big role in great user experience, and to make this happen you need access to modern and beautiful fonts. So, I did some digging on what fonts are trending these days and how you can access them (well, at least most of them) for free. This is a beautiful warm font inspired by geometric sans-serif style. It’s used by many modern websites these days. It comes in many weights, which helps create visual hierarchy. It’s also clean, modern, and legible. Check out the use of this font on this beautiful website. Also, here’s example of a combination of Brandon Grotesque with a serif font. Another beautiful geometric sans-serif font is Museo Sans. It’s used by a lot of websites these days. Paired with a serif font it makes a beautiful reading experience. Some great examples are All Saints Wine and Fast Company. You can get free access to this one through Adobe CC as well. Raleway is an elegant Google font initially designed in one weight, but later got expanded to nine weight families. It’s another font inspired by the geometric sans-serif style. I love using this font in different web designs because it has so much personality. It goes well with sans-serif as well. You can download it for free here. 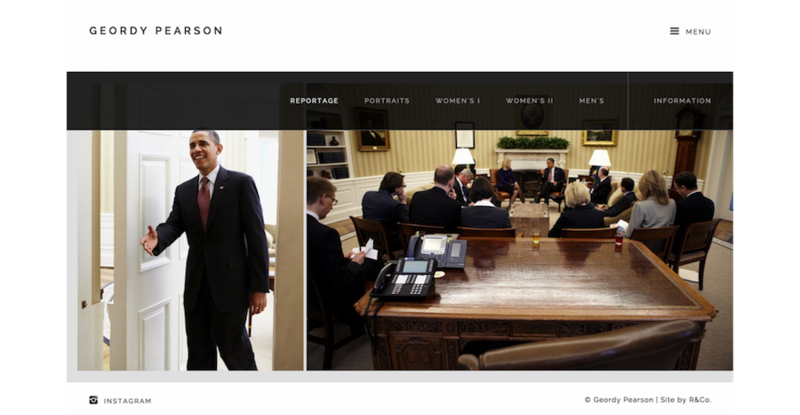 Also, photographer Geordy Pearson uses it on his portfolio site. As the name suggests, this serif font is good for titles and headlines. Although it’s trendy to use sans-serif fonts on the web, serif and sans-serif fonts combined make a beautiful and tasty visual experience. Playfair is a modern Google font that’s easily paired with sans-serif fonts like Raleway, Roboto, and many more. What are some of your favorite fonts to use when designing?